Nothing shows off the beauty of the Lake Chelan Valley like photos. Live and nearly live images from our ‘strategic web cams’, a continious stream of new additions to our library of aerial videos and stills, and comparative photos of ‘Then and Now’ from a lifetime of collecting photos of the past. We’ve been collecting historical photos since we arrived in the Lake Chelan Valley in 1969, to operate KOZI Radio. After 3 decades at KOZI, we sold the broadcast company in 1999, and launched one of the very first ‘Community Web Sites’ in the region, ‘Go Lake Chelan’ in 2001. Think about that – A Community Web Site before Google, Facebook, GMail, Twitter, and a whole host of Social Media and 6 years before Apple introduced the IPhone, which revolutionized the Internet more than anything else. In late 2014, we sold Go , and turned our attention to Aerial Photography and Quadcopters, and built an incredible library of stills and videos taken over the last few years, with new material being captured all the time. 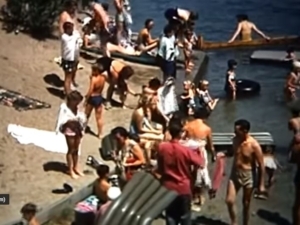 Lake Chelan Cams is the obvious evolution…. An on-line ‘mult-media’ product that is focused on the Lake Chelan Valley. 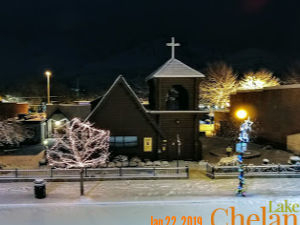 It would have been impossible at any time in the past to create “Lake Chelan Cams’ and have the creativity touch so many. 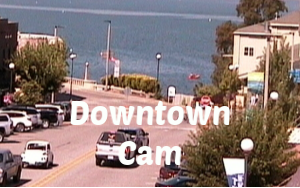 We display 120 new images per hour from our Pan-Tilt-Zoom Web Cams that are constantly moving. We place multi-position Web Cams at “Strategic Locations” and post 1 new image per minute per camera to our web-site. 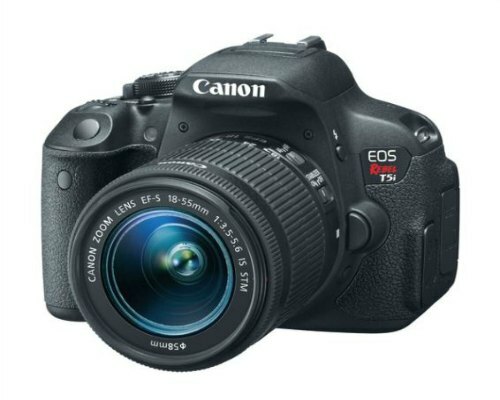 Our cameras Pan-Tilt & Zoom, creating the effect of us having many. many cameras at those strategic locations. At Stehekin, our up to the minute images are transmitted by satellite to our web-page server in Arizona. We are the only place on earth that delivers up to the minute images from inside the North Cascades National Park at Stehekin on a regular, reliable basis. 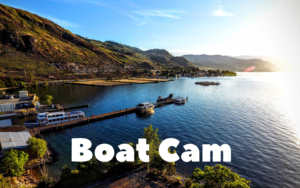 Our down-lake multi-position “Boat-Cam” is located overlooking the Lake Chelan Boat Company. 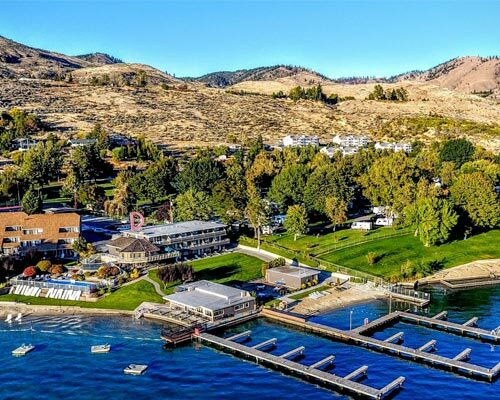 From our location, we can zoom in on Lakeside Park, the City Marina at Don Morse Park, the peak of Stormy Mountain, Cooper Mountain, and then the entire lower end of Lake Chelan. in the core of the town. We have been collectors of historical images for most of the last 50 years. 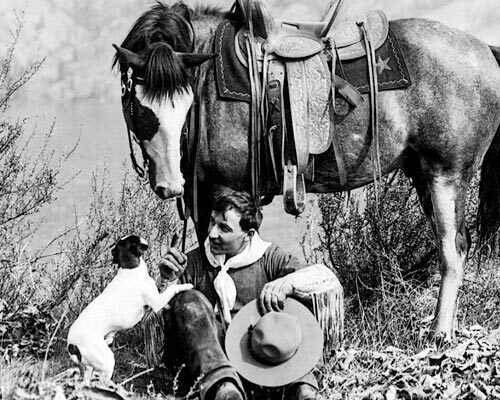 So our personal collection includes a lot of vintage photos by many photo-historians. It is fascinating to do comparisons between ‘Then and Now’ if possible, and every photo has a story. That’s our mission. To share and tell the story if we know it, or solicit the story from readers if they do. Thus we are always a ‘work in process.’ But it’s not work if we’re having fun – and we are. Chelan Cams is our outlet to share the best of our aerial video and still image photography. With the area undergoing immense growth, we have some amazing ‘before and after’ views that tell the story well. And each passing day, that perspective becomes more obvious.